Governor Terry McAuliffe announced today that the movie version of the popular novel “Big Stone Gap” will open in theaters on Friday. Picturehouse has acquired all U.S. rights to Big Stone Gap from Altar Identity Studios and will release the film nationwide on Oct. 9. The 2014 Virginia Film Festival took the Festival’s recent string of record-breaking success to a whole new level, smashing its previous box office record, set last year, by a remarkable 45.6%. The 27th annual Virginia Film Festival will kick off this Thursday evening with the world premiere of Big Stone Gap at The Paramount Theater. 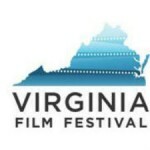 The 2014 Virginia Film Festival lineup will return to Charlottesville fromNovember 6-9, highlighted by a diverse program array of more than 100 films and a stellar lineup of special guests highlighted by Hal Holbrook, Jenna Elfman, Frank Langella, Patrick Wilson, Barry Levinson, Katie Couric, Richard Roundtree, and Jasmine Guy.